Zdeněk Fibich was born on 21st December 1850 at Všebořice near Dolní Kralovice (in what is now the Czech Republic) into the family of a forester Jan Fibich (1819-1882) and his wife Marie Fibichová née Römischová (1823-1891). The parents had met during Jan's studies at the "k. k. Forst-Lehranstalt zu Mariabrunn“, a school for foresters, founded in 1813, in the Hadersdorf-Weidlingau district of today's Vienna. For the little Zdeněk this meant growing up in a bilingual German-Czech environment, which was nothing unusual at the time. He spent his early childhood at the forest lodge in the deep woods around Všebořice, in nature that was to remain an important source of inspiration to him for the rest of his life. His Symphony No. 1 is redolent of the mysterious atmosphere of the woods which he breathed during his early wanderings and games. On the father's side the Fibich family had been foresters and servants to the Auersperg nobility since the mid 18th century, but Zdeněk's mother came from Vienna. Her father was an Austrian textile manufacturer, owner of a small factory. The occupation of Zdeněk's father necessitated frequent changes of abode. Before he was born, his parents lived at the forest lodge at Švihov where they had their wedding in 1843. Subsequently they lived at Všebořice, moving in December 1857 to Libáň near Nasavrky and later still to Žáky near Čáslav in 1870. Zdeněk not only moved often but also travelled a lot since early on - witness his juvenile literary work, the diary from a journey to Trieste 16. 5.-12. 6. 1861 Reise-Notizen gewidmet seinem lieben Vater. For that trip he probably took the Southern Railway, only opened four years before from Vienna across the Alps to Trieste. A love for the majestic Alps and the railway, too, remained with him for the rest of his life. The year 1859 saw a big change in Fibich's life. The family had been living at Libáň for two years and now in 1859 Zdeněk left for Vienna to attend the Öffentliche Knaben-Hauptschule des k. k. Schulrates Hermann. For the next three years he was probably looked after by his maternal grandparents, Anton and Terezie Römisch. The Schools Councillor, Johann Hermann, at whose school Zdeněk was enrolled, was an important Austrian educationalist and pioneer of modern methods of education. The young Fibich could not have hoped for a better grounding towards further education. Information about the progress of the school was regularly published in the magazine "Oesterreichischer Schulbote". As the school was only founded in 1859, Fibich must have been one of its very first pupils. This is borne out by the annual report of the Hermann School for 1861/1862 in which he is listed as a fourth form pupil. Fibich's youthful world of forest lodges and solitude had suddenly been cast in a sharp contrast with imperial Vienna which - since 1857 when Emperor Francis ordered the town walls pulled down - boasted an expansively grandiose and at the same time elegant character. The remoteness of Libáň, necessitating long journeys, gave rise to another of Fibich's life-long loves: the railways. After his three years in Vienna he enrolled at the gymnasium (secondary school) in Prague's Small Quarter where the tuition was of course also in German, and at the same time he became a pupil of the music teacher Zikmund Kolešovský (1817-1868). From 1865 on Fibich started to compose more intensively, having already decided to pursue a musical career. Thus his next study stop was Leipzig where he began to study on 6th October 1865 at the Conservatoire, helped by his uncle Raymund Dreyschock. Raymund Dreyschock (1824-1869), who incidentally hailed from Žáky near Čáslav, was a prominent violinist, teacher, composer, and leader of the Leipzig Gewandhaus orchestra. When Fibich returned from Leipzig in 1866 he first spent a year at home and then on 19th July 1868 went to Paris, intending to work as a piano teacher and pianist. 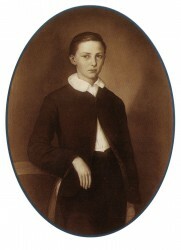 His last study stop of the 1869/70 school year was Mannheim where he studied with the Mannheim Opera director Vinzenz Lachner (1811-1893). Among the most important events in this period of Fibich's life was his encountering Wagner's music - the opera "Meistersingers". In May 1871 Zdeněk Fibich arrived in Prague as a young artist with a thorough grounding in, and knowledge of, the conditions in European musical life. What was Prague like in the 1870s? The previous decade, sparked off by the "October Diploma" issued officially on 20th October 1860, was marked by an awakening of the Czech national element in all areas. And even though the Austro-Hungarian settlement of 1867 only meant more frustration for the Czechs, the growing strength of the movement towards the establishment of a sovereign Czech nation could not be halted. The "December Constitution" promulgated in the same year had also played its part by de facto guaranteeing basic civil rights in what was Austrian territory. In the area of Czech culture there were such important events as the laying of the National Theatre foundation stone on 16th May 1868. The conductor at the Prague Provisional Theatre at the time of Fibich's arrival in the capital was Bedřich Smetana who already had operas such as The Bartered Bride and Dalibor to his credit. The young Antonín Dvořák, who in 1871 was leaving the Provisional Theatre orchestra having worked there as a viola player, had also an opera to his credit already - Alfred - and was busy writing the first version of his opera King and Charcoal Burner. The young Fibich nailed his artistic, aesthetic and personal colours to the mast of the circle around Smetana and Otakar Hostinský, defending the creative line of modern opera and dramaturgy against charges of "Wagnerianism" and "musical eccentricity" (Berlioz-Liszt-Wagner). It was in this atmosphere that he began to compose his first symphonic poems - Othello, Op. 6 (1873). Here, too, we can discern an affinity with the work of Bedřich Smetana, just as in what was one of the first settings of Czech subject matter culled from the then extremely topical Dvůr Králové Manuscript - Fibich's sympohnic poem Záboj, Slavoj a Luděk, Op. 37 (1873). An interesting point: Smetana's symphonic poem Vyšehrad was written a year later. Crucial changes were taking place in Fibich's personal life. In August 1869, while holidaying at Jilemnice, he befriended the family of the miller Josef Hanuš. It was a large family: three sons (Josef, František and Jaromír) and three daughters - Anna, Betty and Růžena. Betty had debuted in Bendl's opera "Lejla" (on 4th January 1868) and was taken on by the Czech opera in Prague. Fibich's was evidently happy amid the miller's family and even composed several pieces, including a Serenade for soprano, tenor and bass which clearly corresponded to the voices fielded by the Hanuš family. Although the middle sister Betty had the closest links to music, it was the youngest, Růžena, that took Fibich's fancy. When they first met she was 18. But while Fibich was at Jilemnice he was smitten by another love - that of mountains. He remained fascinated by mountains throughout his life, and it was at Jilemnice that he became so enamoured of them that he even spent several days at the Labská bouda mountain bothy. 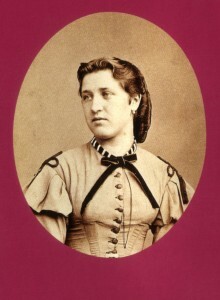 Fibich married Růžena Hanušová on 20th February 1873. The young couple moved to the capital of the Lithuanian province, Vilnius, where from 1873 to 1874 Fibich - thanks to the Russian contacts of Jan Ludevít Procházka and a recommendation by Bedřich Smetana - he taught choral singing at five schools. The standard of cultural life in the then provincial capital bore no comparison either to that of Prague or the towns where he had studied. Among the works he composed in Vilnius was the String Quartet in A major in which he replaced the traditional scherzo with a polka as the first Czech composer to do so. Later on he used the polka again in his Dojmy z venkova suite (Impressions of the Countryside). On 13th January 1874 Fibich's wife Růžena gave birth to twins Richard and Elsa (named in honour of Richard Wagner). The boy died on the day of his birth, neither was Elsa an entirely healthy child. And Růžena's lung disease flared up again. Her sister Anna arrived to look after her but she, too, died in Vilnius. Fibich was anxious for the school year to end, so that he could take his sick wife back to Prague. They made the return journey in mid-August, but Růžena's condition did not improve and she died on 4th October 1874. There was no question of Fibich returning to Vilnius. He remained in Prague, promising to marry his deceased wife's sister Betty Hanušová (1846-1901), which he did on 23rd August 1875. Sadly, Fibich's daughter from his first marriage, Elsa, died on 6th April 1876. The end of the 1870s and especially the 80s in Prague were marked by the preoccupation with the forthcoming opening of the National Theatre. Czech society was now strong enough to put forward not only its cultural and economic demands, but its political ones as well. !9th April 1880 saw the publication of the so called Stremayr Language Directive which established a sort of "language federalism", meaning that the Czech language was put on a par with German for "outside" communication. The pressure and strength of Czech political, cultural and economic elites within the Austro-Hungarian realm kept growing. The founding father of Czech national music, Bedřich Smetana, died in 1884 and during the 1880s the star of Antonín Dvořák began to rise thanks to the support of Johannes Brahms and the publisher Fritz Simrock - Gipsy Songs (1880), Symphony No. 7 (1884), St Ludmilla (1886), Slavonic Dances, Op. 72 (1886), Symphony No. 8 (1889). In the year of the death of Fibich's daughter Elsa, 1876, his second wife Betty Hanušová gave birth to a son, Richard (1876-1950). Fibich had permanently settled in Prague and beside composition and conducting (from 1875 to 1878 he was second conductor and chorus master at the Provisional Theatre) he devoted himself to a number of other causes. He took part in the music activity at the Umělecká beseda (Arts Society), worked for the periodical Dalibor, and from 1878 to1881 he was chorus master at the Orthodox Church in Prague. Beside the opera Blaník to a libretto by Eliška Krásnohorská (1874-1977), his most important work of this period was the opera The Bride of Messina (1882-83) written in collaboration with Otakar Hostinský. Throughout his life Fibich was used to living very modestly, the main source of his income being his private teaching. In this context his collaboration with Jan Malát (from September 1883 to May 1886) resulted in the Great Theoretical and Practical School of Piano Playing. During his years as a conductor he produced a lot of incidental music, but not many of his works of this type have survived. His early assignment as a conductor at the Provisional Theatre was the Czech composer Jiří Antonín Benda's two melodramas Medea and Ariadne on Naxos (premièred 22nd December 1875). It was the melodrama genre that was to play a singular role in Fibich's own output. In his own large-scale melodramas he was to perfect an original and syncretic joining of music and words, producing an extraordinary emotional effect demonstrated at the International Music and Theatre Exhibition in Vienna in 1892 when - in company with Smetana's TheBartered Bride - the first part of Fibich's melodrama Hippodamie - Námluvy Pelopovy (The Courtship of Pelops) was performed to the acclaim of Vienna's critics who thought it the most valuable contribution to world theatre. 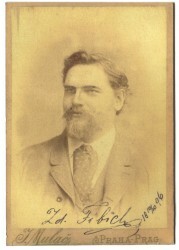 Fibich's works, overshadowed a little by those of Smetana and Dvořák for some time, began at the turn of the 1880s to gain great success both at home and abroad. The 1890s were a period of sharp confrontation between the now self-confident and almost fully established Czech national element and the German population in the Central European part of the Austro-Hungarian Empire. Prague and other places in the Czech Crown Lands saw an increasing number of demonstrations and remembrance events, such as the anniversary of the Battle of the White Mountain and the burning at the stake of Jan Hus, or May Day celebrations. These mass rallies were often accompanied by the singing of songs like Kde domov můj (Where is My Home) and Hej Slované. And there were the occasional riots, as for instance during the celebrations of the Emperor's birthday, leading to the declaration of a state of emergency in Prague in 1893 (not for the first time, nor the last). Another bone of contention, festering until the establishment of the sovereign Czechoslovak Republic, was the question of the so called Badeni language regulations of 1897 which were meant to put Czech on a par with German also in internal official communications. In Prague the Rudolfinum was in operation since 1885, in 1888 the New German Theatre was opened and in 1896 the Czech Philharmonic Orchestra was founded. 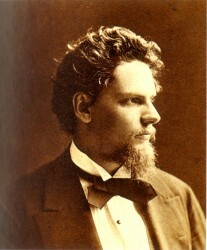 In the year of Antonín Dvořák's departure for America to pursue his international career, 1892, a new and thoroughly unexpected chapter opened in Fibich's life - a life that on the whole could have continued without problems, made happy by the growing success at home and abroad, had not a woman for the third time and most fatefully entered Fibich's life. 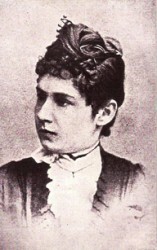 In that year, 1892, Fibich fell in love with the then 24-years-old Anežka Schulzová (1868-1905). Their relationship brought a new dimension to the composer's work. Anežka was not unknown to Fibich. Their first encounter is dated either 1st October 1885 or 15th October 1886, when she sought him out as a piano teacher. Neither of them had any idea that their meeting several years later was to have such fateful consequences. Anežka sought Fibich out again in 1892 in order to study composition. Fibich dealt with the situation later on in his piano cycle Nálady, dojmy, upomínky (Moods, Impressions, Reminiscences), in particular the piece No. 126 „jak se Anežka učila" (How Anežka Learned). Fibich's twilight love left its mark on almost all the works of his final period, especially on the vast piano cycle - his "little pieces" as he used to call the Nálady, dojmy, upomínky. The period can be likened to a kind of "creative exlosion". Some of the motives in the cycle are reflected in other works, while ideas from other compositions are incorporated in the "Impressions". Of the cycle as a whole, 376 pieces have been published, but Fibich had in fact composed many more. Who was Anežka Schulzová? 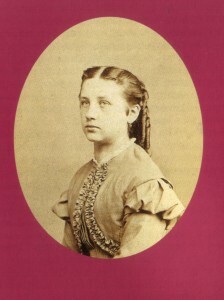 Anežka was born into a large family of Karolina Schulzová and Prof. Ferdinand Schulz. 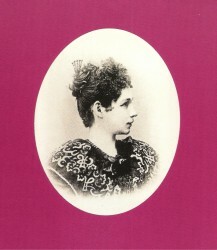 Mrs Schulzová was the sister of Young Czech followers Julius and Eduard Grégr. Her husband Ferdinand Schulz was a professor (teacher), journalist and writer. The couple had four sons (Ivan, Jiří, Bohuš, Ferdinand) and three daughters (Anežka, Božena, Dagmar). They lived at Žofín in Prague. Zdeněk Fibich lived nearby at No. 1 Ostrovní Street. The house no longer exists, its place taken by the new extension of the National Theatre. The evenings that Fibich spent walking on the Žofín island inspired his symphonic picture „V podvečer" (At Dusk). As viewed today, Anežka was a modern woman, an author, admirer of Anatole France, and one of the first experts on Nordic literature. She was of course interested in music, too, and was able to make a piano version of such a work as Fibich's Quintet. It was no wonder, then, that she became not only his lover but also the librettist of his later operas, thus replacing his friend Otakar Hostinský. Although the situation became difficult to cope with for all concerned, Fibich never divorced his wife, especially as a result of his wife Betty's refusal. Their surviving correspondence shows that they respected each other as parents of their child. Nonetheless, in 1897 Fibich moved away from the family to a small flat round the corner in Pštrossova Street in order to have peace and quiet in his work. His extramarital relations - notwithstanding the efforts of all concerned to be totally discreet - would stir up the then society and in the opinion of some of Fibich's friends do damage to the composer. © Fibich.cz 2013 Všechna práva vyhrazena.